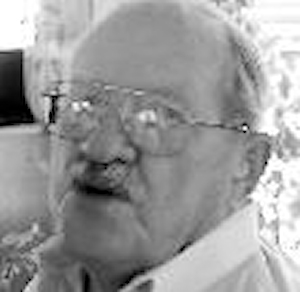 Obituary – Skinner, Gaylord Wilson « Perry High School Alumni Association, Inc.
Gaylord Wilson Skinner Gaylord Wilson Skinner (July 6, 1930) died peacefully in Austin, Texas on March 18, 2013. Loving son of Ralph Valentine Skinner (deceased) and Vivian Louise Wilson (deceased). Loving brother of John Thomas Skinner and Lou Ann Skinner. Loving father of Dr. John Skinner (deceased) (Suzanne), Rick Skinner (Carolyn) and Randy Skinner (Donna). Loving grandfather of Drew (Amy), Devin, Taylor, Stephanie, Graham and Katherine. Loving great-grandfather of Phoebe, Audrey, and Julia. Gaylord (GW to all who knew him) was born in Cleveland, Oklahoma and raised in Perry, Oklahoma. GW was very popular in the school and the small community of Perry. He was an accomplished all around athlete, gaining All State honors in football which translated into a football scholarship in Oklahoma. 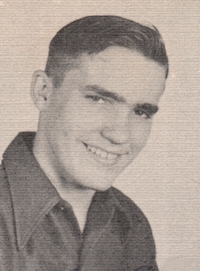 Gaylord proudly served in the Korean War with the United States Army. While in Korea he was attached to the 179th Regiment of the 45th Infantry Division as a leader of an Army Ranger unit. His unit engaged in numerous battles with the enemy. Gaylord was awarded the Bronze Star for his meritorious service in combat. After discharge from the Army, GW began his career in oil field service work. Beginning as a roughneck in 1952, he advanced to become a widely known – if not legendary – snubbing engineer. The world-wide demand for his services led him to live in Venezuela, Longview, Texas (where he raised his family), Peru, Holland, Australia, Jakarta, and Singapore. After retirement in 1993, Gaylord lived in Austin, Texas. His many pleasures were Cowboys football, OU football, UT football, fishing, dinner with family, and jaw-jackin’ with his friends at the coffee shop.